When I go abroad, taking a bar of soap with me is a must. Soap bars are so handy for travelling since they don’t count as a liquid so you can use your liquid allowance for something else (for lots of sunscreens, for example). 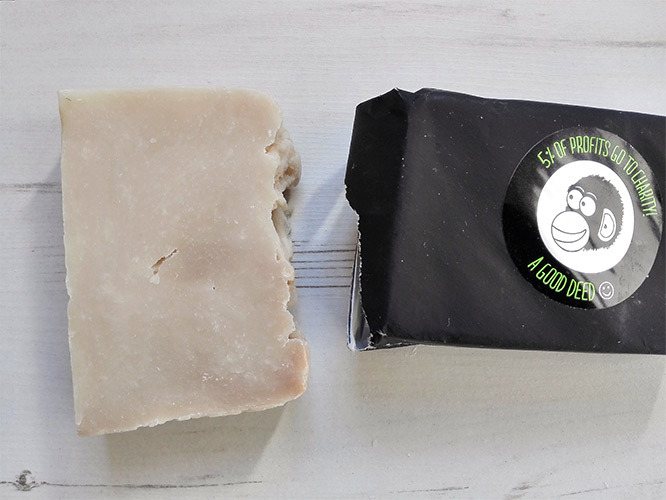 Natural soap bars are a perfect travelling companion also because they don’t take much space in your luggage and are light, meaning you have less to carry. If you look at the ingredients’ list of any body wash, even the natural one, you will see that the list is quite long, longer than the ingredients’ list found on natural soap bars. More ingredients means that there is more risk your skin will find something irritating. But not only that. Some ingredients can be potentially harmful (such as parabens) and some ingredients don’t do your skin any favour (synthetic ingredients, artificial fragrance, etc.). Yes, you can find some great natural body washes but if your skin is extremely sensitive, less is more, and a simple bar of soap is the way to go. So far I’ve tried so many different natural soap bars and they all foam really well although some foam better than others. 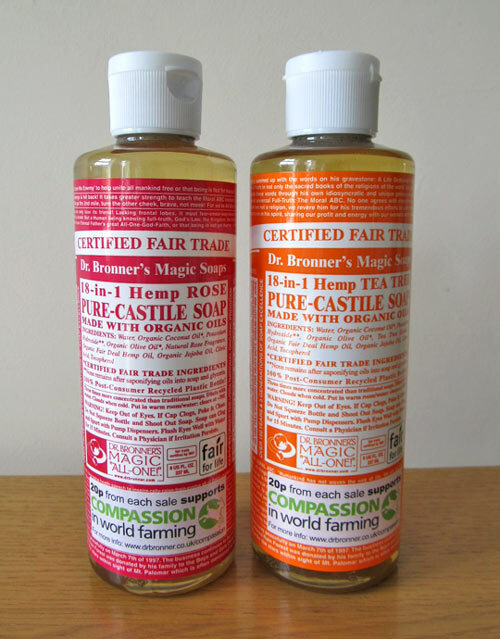 When I tested various natural body washes in the past, I realised that many of them don’t foam so well which resulted in me using more of a product. So if a good lather is important to you and you haven’t found that perfect natural body wash yet, then you must try a natural soap bar for sure. If you love a good body wash or a shower gel and you want to switch to more natural products, you will quickly realise that natural body washes and natural shower gels are quite expensive. Many of them cost £10+ although you can find some for around £4-£5 but with a long list of ingredients. Prices for natural soap bars start at around £3 (or even less) but you may want to spend a little bit more to get a better quality soap, containing more beneficial ingredients for your skin. If you choose a certified organic soap bar, this will also add to the cost. A good bar of soap will typically cost you around £5. There is no harm, of course, to try a variety of soaps first before deciding which one is your favourite. You may find your favourite is one of the cheapest, you never know! I’ve been using natural soap bars for many years and have tested loads so far and still continue to test them. Most of them last at least 2 weeks while some last around 3 weeks (this is for one person, having a shower every day). Bigger soap bars last longer of course, so this is something to consider when buying one. If you compare this with how long one bottle of body wash can last, you will see that body washes don’t last that much longer (maybe a month?). But again, it depends on the size of the product. The bottom line is, soap bars are normally better value for money. I’ve already mentioned at the beginning of this post that natural soap bars are non-drying. But just to emphasise, in case you have this fear of getting your skin all dry and dehydrated. Honestly, natural soap bars can be totally non-drying. As long as they contain the purest ingredients and moisturising ingredients, your skin will love them. One such soap which is like that and extremely moisturising is PureChimp Super Soap – I highly recommend it. 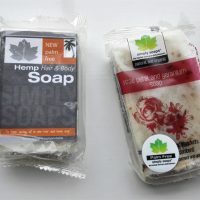 Natural soap bars are normally packed in eco-friendly cardboard packaging or some kind of paper which is recyclable. This is better than plastic bottles, that’s for sure. So if you love nature and want to do your bit for the oceans, this is another reason why you should switch to natural soap bars. If you need some recommendations on which natural soap bar you should try, keep an eye on an upcoming post where I share with you some of the best natural soap bars that your money can buy (I am currently testing a variety of natural soap bars and I am writing my thoughts as I go along). Do you use body washes or solid bars of soap? Which one is your favourite? Disclaimer: This post contains affiliate links – I may get a small commission if you purchase a product after clicking on a link. This does not cost you anything, you are only supporting me so that I can continue writing these posts for you.